One of the time-consuming but necessary steps is creating an air and moisture barrier for the building envelope. Currently, the most common way to accomplish that task is with a housewrap. But time and – energy – conscious building pros are turning to sheathing with integrated water and air barriers that accomplish several steps in one. The Huber ZIP System, visible on many jobs for its green framing sheathing or red roofing sheathing, is one of the fast growing housewrap alternatives that delivers several building steps in one. 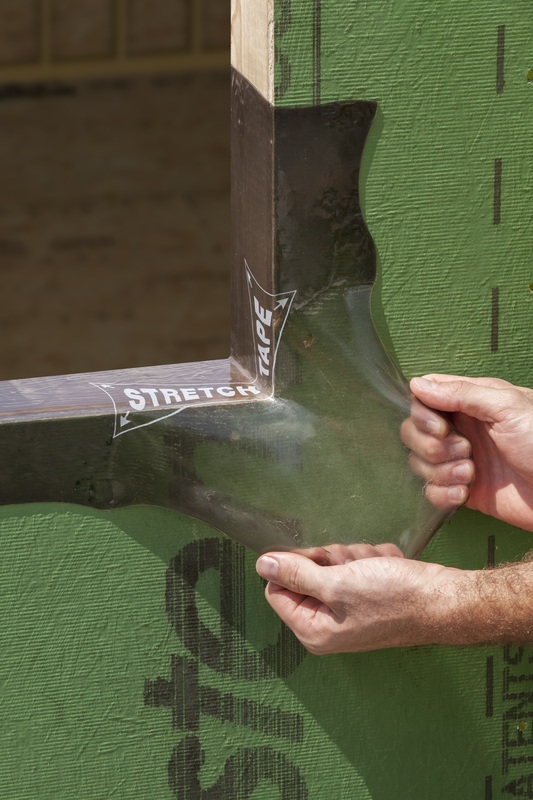 The Huber ZIP System sheathing and tape is a structural roof and wall system with an integrated water resistant and air barrier that streamlines the weatherization process and transforms it with a simple two-step installation. The panels are fastened to framing like any other sheathing. Then the seams are taped to provide an air and moisture barrier. The taping can be a one-person job. Builders see the difference in installation speed on the job site. The ZIP system is 40 percent faster than using housewrap. On a 215,000-square-foot structure, that could save 667 hours of labor. And the bigger the building, the bigger the savings. Those findings don’t come from Huber, but rather Home Innovation Research Labs, an independent firm within the building industry that tested the installation processes itself. At the Virginia-based design firm, Great Seal, architect and designer Lyndl Joseph chooses ZIP System sheathing to meet ever-changing energy codes for her clients, and values the installation efficiency as well. Joseph also likes ZIP System sheathing, which it has used on both residential and commercial projects, for its added protection against wind and moisture, especially in the humid climate of Virginia. After learning about ZIP System at a local lunch-and-learn event, Mike Reardon knew immediately the product would change how his Missouri company would tackle projects in the future. He began promoting the system’s ability to block air and water to colleagues and clients. They quickly were sold. Weber’s next project, Bramblett Hills Apartments, was constructed with ZIP panels. The green barriers cover the entire 204-unit, 218,000-square-foot luxury apartment complex west of St. Louis – all 17 three-story buildings, 87 garages and even the clubhouse. 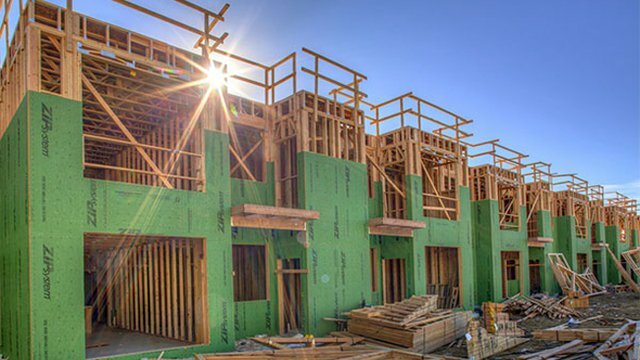 Building pros are turning to the sheathing options that speed up construction time and create continuous insulation and reduce the amount of seams in the thermal envelope to create a better barrier against air and moisture exchange. "It solves a lot of issues that you might otherwise face with the building envelope," said Matt Belcher, a prominent St. Louis green builder and chairman of the National Association of Home Builders’ Green Committee. "The integrity of it is strong, and it makes it easier for us build tight." Steve Arel, Proud Green Building editor, contributed to this article.